﻿BetOnline welcome customers from a 50 U.S. states & are the third biggest sportsbook. Bitcoin deposits/withdrawals are FREE but using credit and debit cards costs 6.5%. BTC funds hit your account within an hour and withdrawals typically take 1 - 2 days. 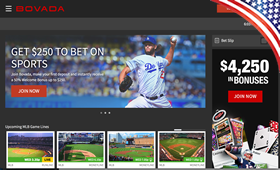 Mobile sportsbook and poker apps are available for Android, iOS and Windows Phone. BetOnline is exceptionally good for in-play bets. and also have very high betting limits. Betting markets have a U.S. focus with lots of NFL, UFC, NBA, MLB, golf, NHL activity. 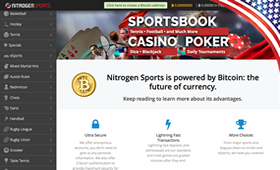 BetOnline also run a very popular crypto poker room and horse race betting site. Unrivalled promotions. $50 free play when you use their sportsbook app for 1st time. 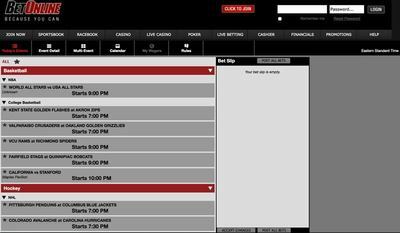 BetOnline is well known and respected online sportsbook and poker room who has been operating since 2001 and are licensed/regulated in Panama. They are currently the third most popular sportsbook for United States sports bettors and accept punters from ALL 50 states. They have a high-success rate for credit card deposits and have recently added bitcoin as a cashier option for both withdrawals and payouts. 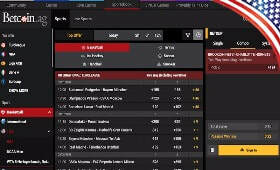 Don't expect to get blown away by the Betonline layout but it follows the concise platform that most online gamblers have become accustomed to – which is convenient. The different sports available are easy to navigate via the left hand column. Once you've selected which sport you want to wager on, a list of events opens up in the middle of your computer screen. Selecting games from this column sends them to your betting slip on the right where you can determine if you want to keep a straight bet or try your luck with a parlay, “if” bet, or some other multi-game wager. This is the format that a majority of online books offer so if you've ever done any Internet sports betting it shouldn't take long to get comfortable with Betonline. 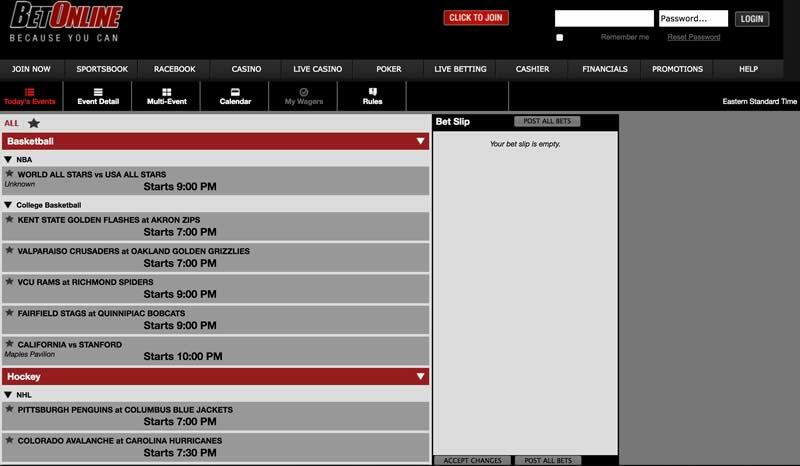 Betonline offers a nice staple of events to wager on. As expected, all the major American sports are available as are over a dozen International soccer federations. Some out of the ordinary games are available as well including snooker, darts, and lacrosse. 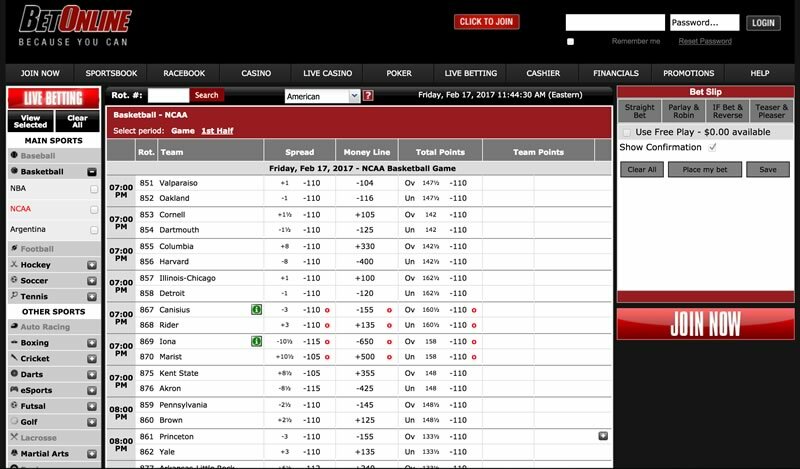 Betonline also features one of the widest varieties in bets available per sport out of anybody in the industry. An example is MLB betting where you can do standard baseball bets as well as adjusted run lines, alternate run lines (many available), series prices, runs+hits+errors, and many game props. There is live betting available on almost every major event as well. Once of the biggest critisims that BetOnline have faced in the past was their 6.5% deposit fee. It didn't mater whether you deposited using Visa, Mastercard or by bank transfer, the ridiculous 6.5% processing fee was charged to your account. We are glad to report that both bitcoin deposits and withdrawals are free at BetOnline, saving many customers hundreds of dollars each year. Funds can take an hour to clear depending on how congested the bitcoin network is. Minimums are $20 for deposits with maximums of $2,000 for withdrawals per day. You can convert your bitcoin into USD by requesting a check or bank transfer from Betonline, one of which is free every month. 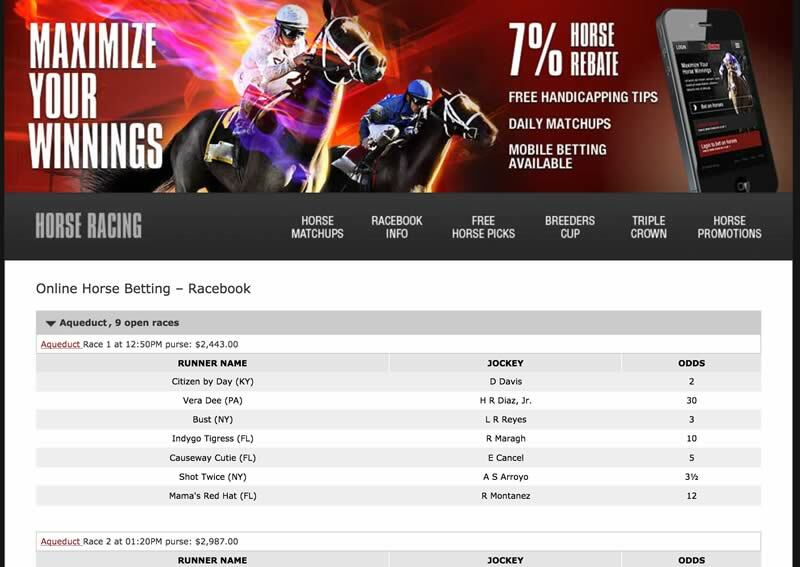 Betonline mobile is another example of how wagering via your phone is actually more user-friendly then the web. It's not sure if companies simply develop a web application that works then devote all their time to the mobile platform or if more people are actually betting from their phones than their computers these days. Either way, it works and is very convenient with no downloads required. When you throw in the $50 bonus it appears that mobile bitcoin betting may be the way to go. 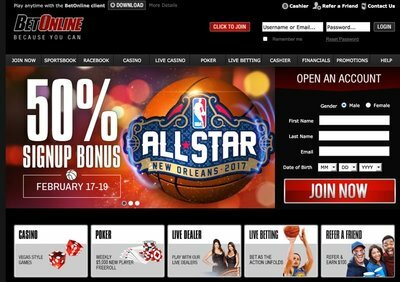 The past couple years Betonline has gotten kind of a bad reputation in the industry because of their customer support – or most notably the lack thereof. As they move forward as a bitcoin processor it appears they've listened to those qualms and have now initiated a live chat in addition to phone and email support. 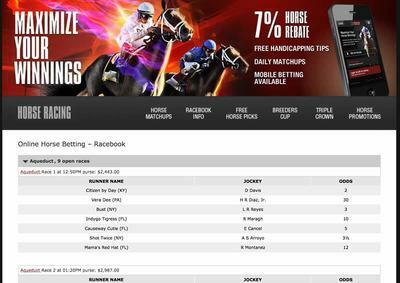 Betonline took the approach to “dumb down” their site so that most users could navigate without issues but it's nice to know that somebody is available instantly in case a problem does arise. 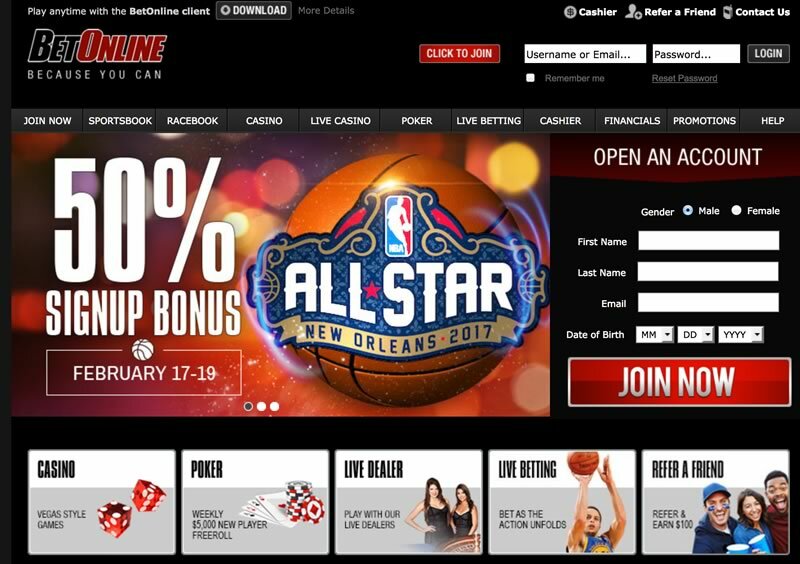 Betonline actively tries to engage customers in the whole gamut that their site offers mostly by offering promotions such as a $25 free play to try live betting or a $50 bonus for activating mobile betting. They are also one of the few books that offers “lifetime bonuses” of a 25% match on all qualified deposits. Granted these promos require a 10X rollover but once you qualify it does offset some of the sting of the bitcoin transaction fees. Betonline are the 3 biggest U.S friendly sportsbooks in the industry for a reason. They run excellent promotions, their poker room is very popular and they have very competitive betting lines. What turned many sports bettors away in the past was their 6.5% deposit fee but thankfully those charges do not apply to bitcoin users.